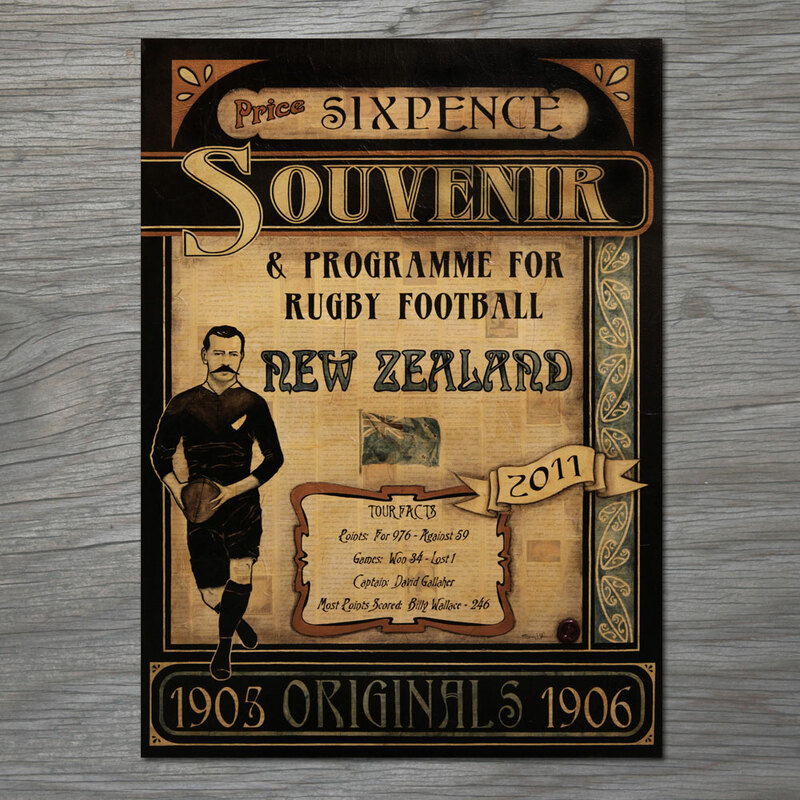 The Original All Blacks (known as “The Originals”) were the first national rugby union team to represent New Zealand and tour outside Australasia. They toured the British Isles, France and the USA during 1905–1906. This tour of Britain went on to achieve legendary status within the rugby world. The Originals scored 976 points and conceded only 59, thus setting the standard for any and all New Zealand teams who were to follow. It was during this tour that the name ‘All Blacks’ was created. The uniform colour was by this time entirely black and so the name was deemed worthy and eventually stuck. The inspiration for this Kowhaiwhai comes from Mangotipi, a traditional Maori design representing the hammer head shark. This design represents formidable strength and resilience. The single game lost was against Wales.